Hello everyone! How are you? It is time for a book review. Do you think classical authors are boring and old-fashioned? 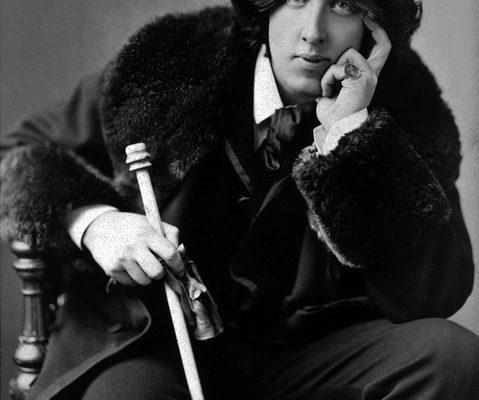 If so, you do not know Oscar Wilde, the Irish poet, writer and playwright. One of his most famous plays is not so different from ‘The Big Ban Theory’ or any other TV series that we enjoy nowadays. Here you have the review, go on and judge by yourself! 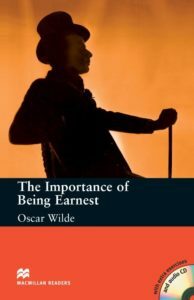 TITLE: The importance of being Earnest. John Worthing: He is the star of the play, a rich man with an unknown origin. He has a double personality. On the one hand, he is ‘Jack’, a responsable man who looks after his ward (a young girl) in the country. On the other hand, he is ‘Ernest’, a ficticious Jack’s brother who is a fun-loving man that lives in London and pretends to be serious. Algernon Moncrief: He is John’s friend, another rich man. He pretends to follow the traditional customs of his class (such as playing the piano) but he really has other hobbies, like eating. He hates family gatherings and social obligations. Gwendolen Fairfax: She is Algernon’s cousin, an upper class girl who lives in the city. She is refine and a bit naive. She believes in real love, but overall, she obeys her mother. Cecily Cardew: She is John’s ward, an upper class girl who lives in the country. She is shallow, selfish and irresponsible. She is unstable and she does not like studying. The play is set in late Victorian times in Britain (1885, London and Woolton, to be precise). It was ‘the present’ for the author, a period when social differences between classes were important and society repressed people’s feelings and desires. Upper class men and women had to have flawless behaviour and reputation and, overall, a huge list of social obligations. In ‘act one’, John visits his friend Algernon, as he usually does when he goes to London and pretends to be ‘Ernest’. But this time, he finally tells him what his real name and story is (he was found in a bag by a powerful man who adopted him and now he has a big house in the country and a beautiful ward). Algernon admits that he has a ficticious friend in order to avoid social meetings, especially those with his traditional aunt lady Bracknell. Suddenly, Gwendolen and her mother (lady Bracknell) arrive there and John proposes to the girl. He tries to tell her what his real name and story is, but she loves the name ‘Ernest’ and he can not confess yet. He only speaks about his dark origins and lady Bracknell rejects the engagement. In ‘act two’, Algernon is in John’s house in the country pretending he is ‘Ernest’ because he wants to meet Cecily. He inmediately falls in love with her and the crazy girl says they had been engaged for the last few months, when she imagined that. Later, John appears there to say that his brother Ernest was dead and when he sees Algernon, they begin to argue. Then, Gwendolen arrives there looking for Ernest (John) and meets Cecily. They talk about Ernest and both think they are engaged to the same man. In ‘act three’, lady Bracknell appears there and they all together sort out the problems with the engagements. They discover John’s real origins. Although some vocabulary is a bit difficult to understand, this play is really easy to read because of its fast dialogues. It is an excellent critic of reality in 1885, where people had to have traditional habits without a real conviction or affection. For instance, the girls say they love their partners because their names are ‘Ernest’ and that inspires confidence, and the men fall in love for ridiculous reasons. The brilliant use of irony. The characters’ expressions have double meanings all the time. They seem to be serious but hey are not, because they mix important issues with trivial anecdotes. For example, Algernon usually argues about food in the middle of a serious situation. On the other hand, Cecily is very funny because she has a relationship through her own diary. Nothing at all? The author is quite witty and he makes a really good use of English language. Maybe, we should treat all serious problems with a bit of triviality if we want to be happy in life. Now, what do you think? Would you like to give this play a shot?